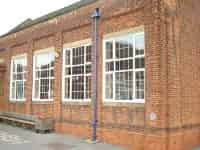 Parklands Infant School Value: £52,350 The original timber windows from the 1950’s were removed throughout and replaced with upvc products. 32 Windows & 2 French Doors. 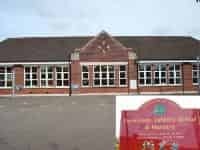 Langtons Infant School Value: £33,158 Langtons Infant School approached Concept with the view to modernising the whole school. Concept fitted the latest upvc windows with Teleflex opening windows. 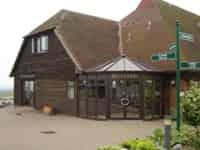 Langdon Hills Golf Club Value: £42,233 Over a period of several years Concept have carried out a number of different installations at Landgon Hills Golf Course, including replacing the main entrance to the Golf Club, including a new glass roof and double doors. 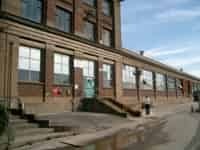 Coopers Colborn School Value: £39,298 Replaced the existing windows with new aluminium windows to the Science Block. 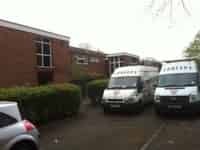 We co-ordinated with other companies to ensure the whole block was refurbished with the School holidays. 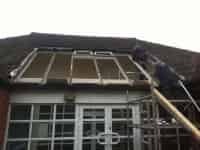 Cambridge Housing Estate Value: £38,050 Installed new upvc screens with adequate ventilation to the communal areas of the housing estate. Barnet Football Club Value: £1,350 Installed new upvc french doors to the main offices of the football club. 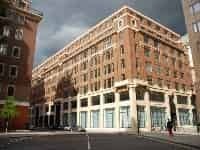 Burberry Headquarters Value: £135,000 Installed aluminium windows to the Burberry Headquarters, keeping the disruption to a minimum was a key reason for Concept winning the contract. Gaynes School Value: £2,995 Installed new upvc windows to one block at the School. 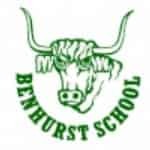 Benhurst Primary School Value: £46,200 Benhurst Primary School approached Concept with the view to modernising the whole school. Concept fitted the latest upvc windows with Teleflex opening windows to the main hall building. 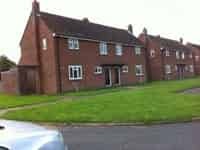 Bishopsfield Housing Estate, Harlow Value: £184,507 Refurbishment of 125 residential homes. 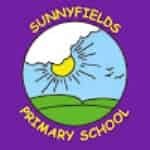 Sunnyfields Primary School Value: £3,850 Installed new upvc windows. 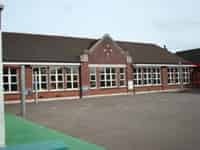 Crownfields Infant School Value: £4,700 Installed new upvc windows and doors. 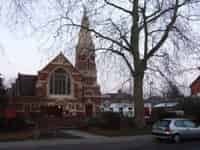 Hornsey Moravian Church Value: £28,000 Installed new aluminium windows. Parklands Junior School Value: £36,996 Installed new upvc windows and doors. 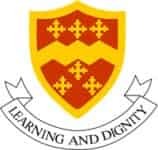 College of North West London Value: £4,800 Due to the redesign of an emergency exit at the college, Concept were reasonable for removing an existing window and door screen and replacing with a new emergency exit that complied with the College Health & Safety requirements. Ford Motor Company Dagenham Engine Plant F BuildingValue: £240,500 Replacement of crittle windows with brown aluminium. The windows were 5m high and the elevation in excess of 100 yards long.Structural mullions were designed to comply with wind loading. Ford Motor Company Dagenham Engine Plant Medical Building Value: £18,000Concept have carried out many installations at the Engine plant. The installation at the Medical Building had a priority for sound insulation. 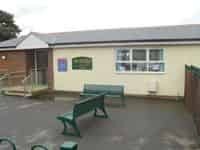 Norfolk Housing Estate Value: £115,000 Langtons Infant School approached Concept with the view to modernising the whole school. Concept fitted the latest upvc windows with Teleflex opening windows. 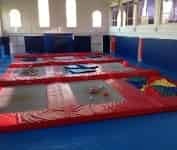 Brentwood Trampoline Centre Value: £10,328 Replaced the arched windows at the Brentwood Trampoline Centre, with new upvc windows with antisun reflective glass with the Teleflex winding opening system. North Street Medical Centre Value: £6,079 Replaced the existing timber glass roof with a new upvc self cleaning solar reflective glass roof. Vision Inspired Business Interiors Value: £5,024 Replaced the existing windows at an office conversion. 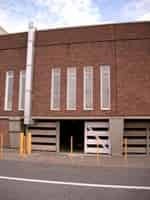 LP Foreman & Sons Ltd Warehouse Value: £12,840 Replaced the existing window in the warehouse for LP Foreman. 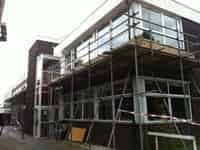 Feltham Junior School Value: £32,000 Replaced the existing window & doors during the School Holidays.